The line-up of makers at Rome’s first-ever Maker Faire (Oct. 3-6) is impressive. Here’s a look at some of who and what is on tap for the pan-European fair this fall. MusicInk is an educational toy that useselectrically conductive paint that allows children to “play” their own drawings. Children play the game by drawing with paint to represent different properties of sound. The arts will then be connected to an electronic circuit based on Arduino that turn the illustrations into capacitive proximity sensors. The signals received by the sensors are sent via Bluetooth to the app, which then reworks and transforms them into the sound of a musical instrument. Each property of the sound is connected to an appropriate melody. MusicInk lets you make music with conductive paint. 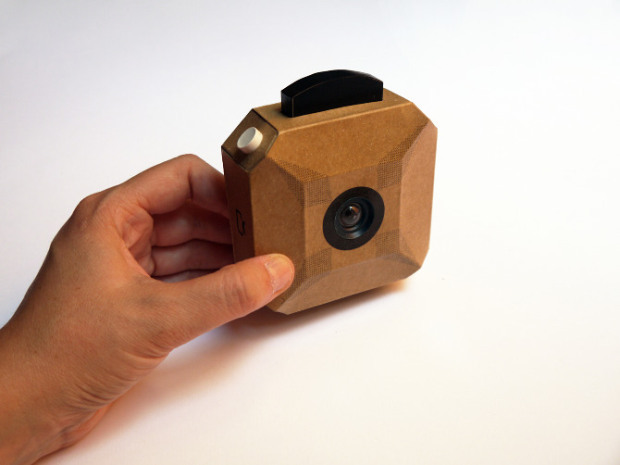 Craft Camera is a simplified digital camera with a cardboard case and an electronic system than runs on Arduino. This is a basic camera with only two buttons— one for turning on the power and one to start taking pictures. It’s a true DIY device. 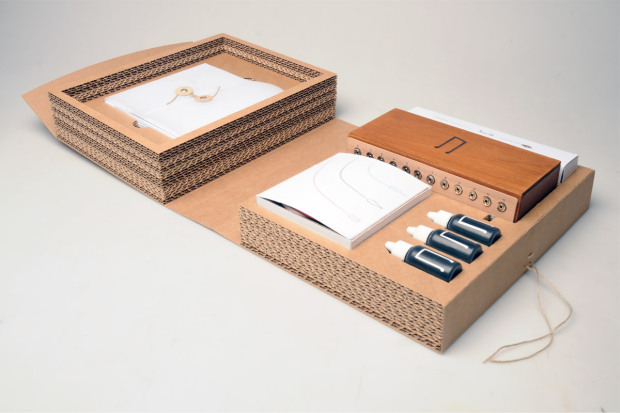 The cardboard case can be printed out and then cut out, folded, assembled, and glued to form the case. The electronic system can be soldered by the user. The barebone, Arduino-powered craft camera. SISAR, a project of the Italian Mechanical Music Association, uses new technologies to develop scanning, archiving, and playing devices to revive mechanical musical instruments and recorded ancient musical media. SISAR will also host a punching machine to record new music for old instruments, and other devices to renew old mechanical musical instruments. A mechanical organ and other mechanical instruments at the booth will play music from punched cardboard. Oblobot is an educational platform that help parents and teachers introduce children to simple electrical circuits. It’s a kit of 20 small, customizable robots assembled from printed parts, a 4.5V battery, LEDs, small motors, and speakers. 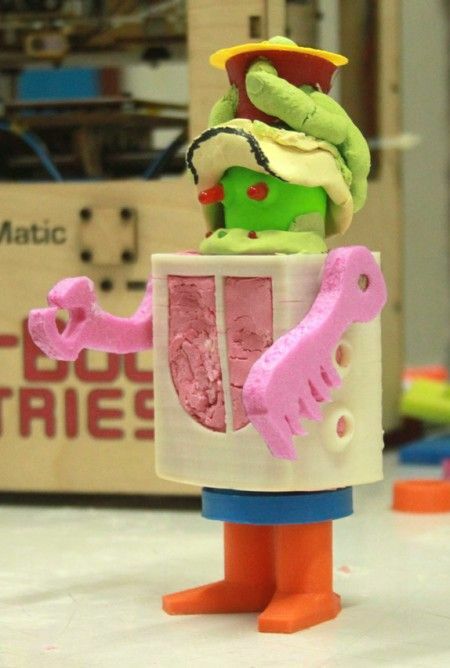 Handmade conductive plasticine brings it all to life. Three cyclists kick this post-carbon vehicle into gear—on land and in the water. It travels about 30 mph. Pedal power! 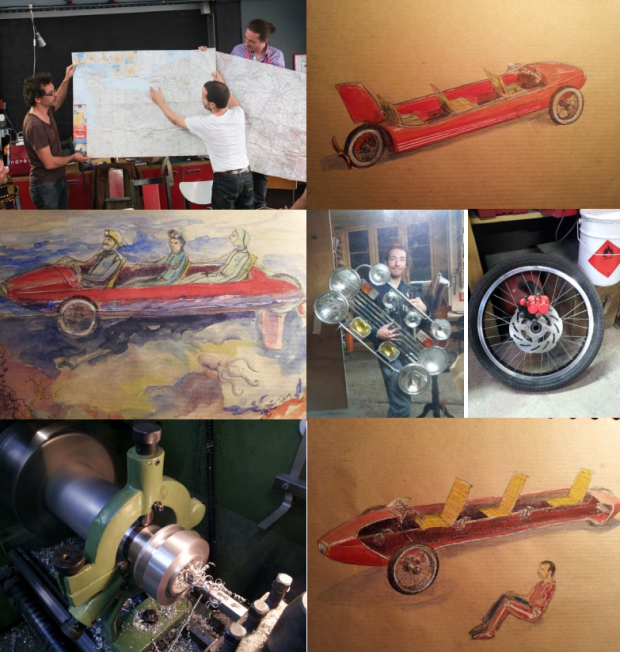 The pedal car in action and in design. Meanwhile, Focus Magazine (the fair’s media partner) just published a preview of 15 projects and are asking readers to vote on their favorites. Have a look here. (It helps if you can read Italian). For added inspiration, Maker Faire Rome has curated a collection of short videos and short documentaries on the maker movement.